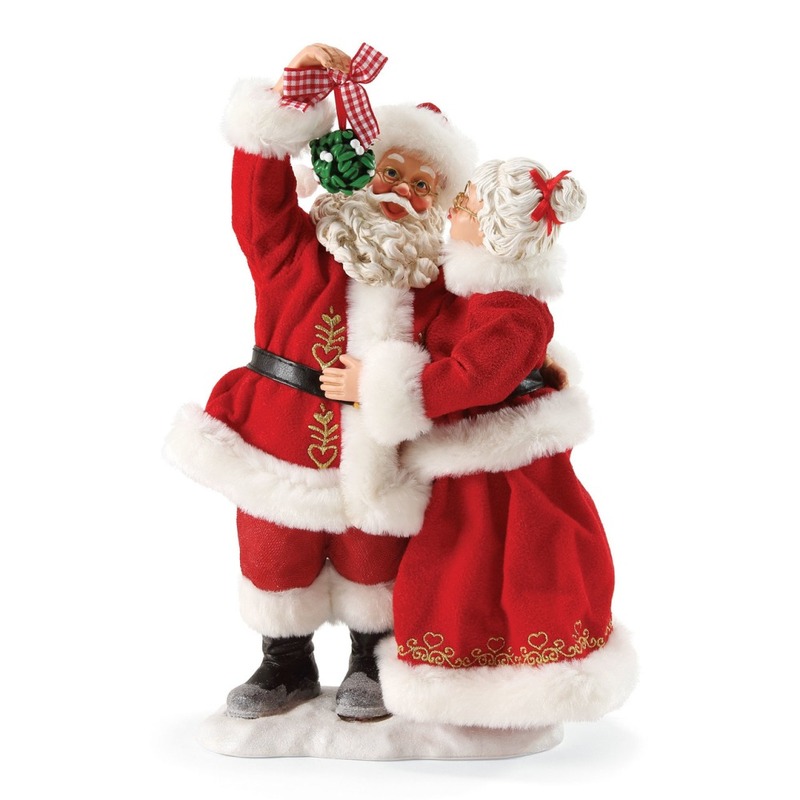 Do you and your family collect Christmas figurines and other holiday decor? 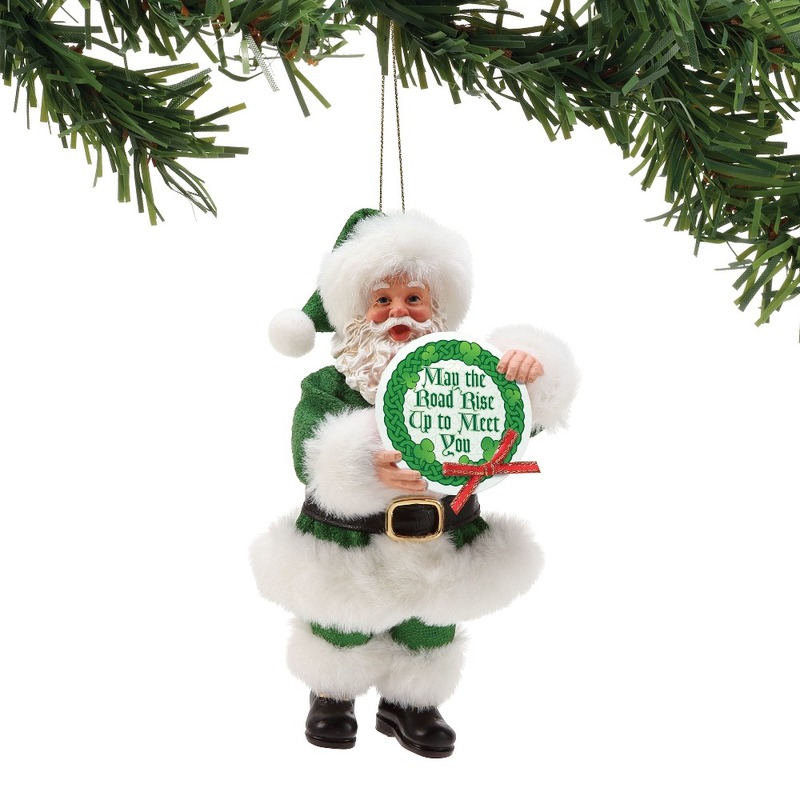 If you do, chances are good that you’ve heard about the Possible Dreams Santa. 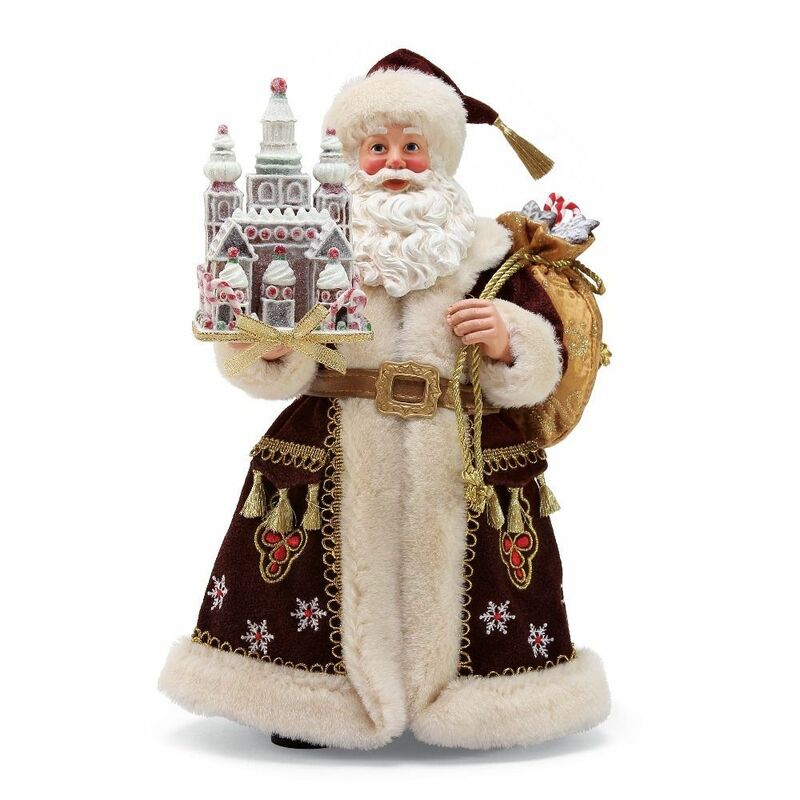 Expertly handcrafted, hand-sewn and hand-painted with extraordinary attention to detail, these exclusive Santa figurines are highly sought after and extremely collectible. 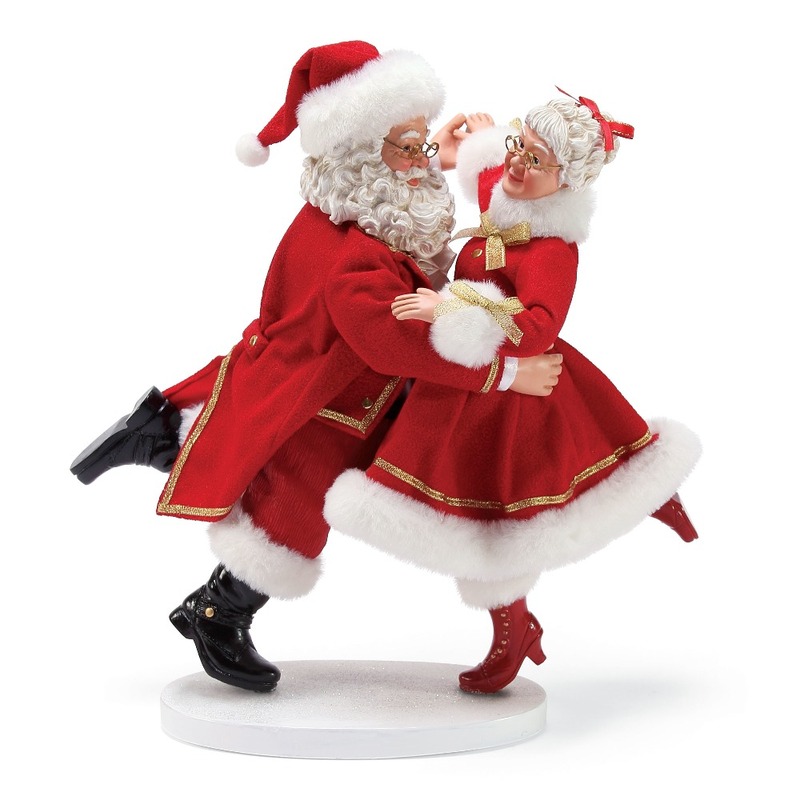 In fact, new figurines are introduced every year (such as the 2018 Possible Dreams Santas) and certain models are periodically "retired", making them even more desired by aficionados – and therefore, they can be quite valuable. 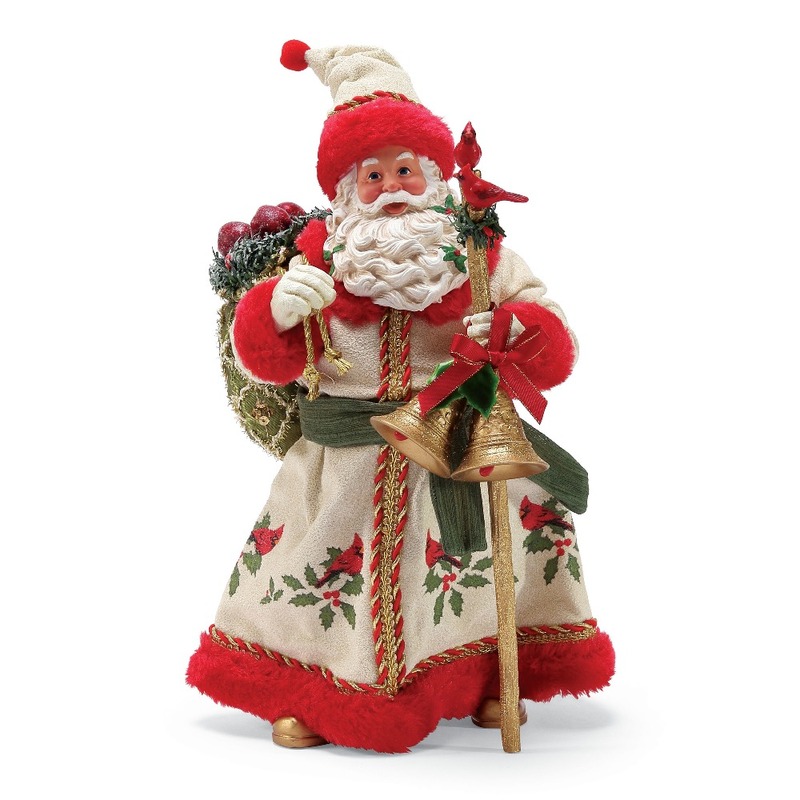 But even if you don’t actively collect Possible Dreams Santa figurines, these charming and exquisite Santa Claus figures will be well-loved among your family and friends. 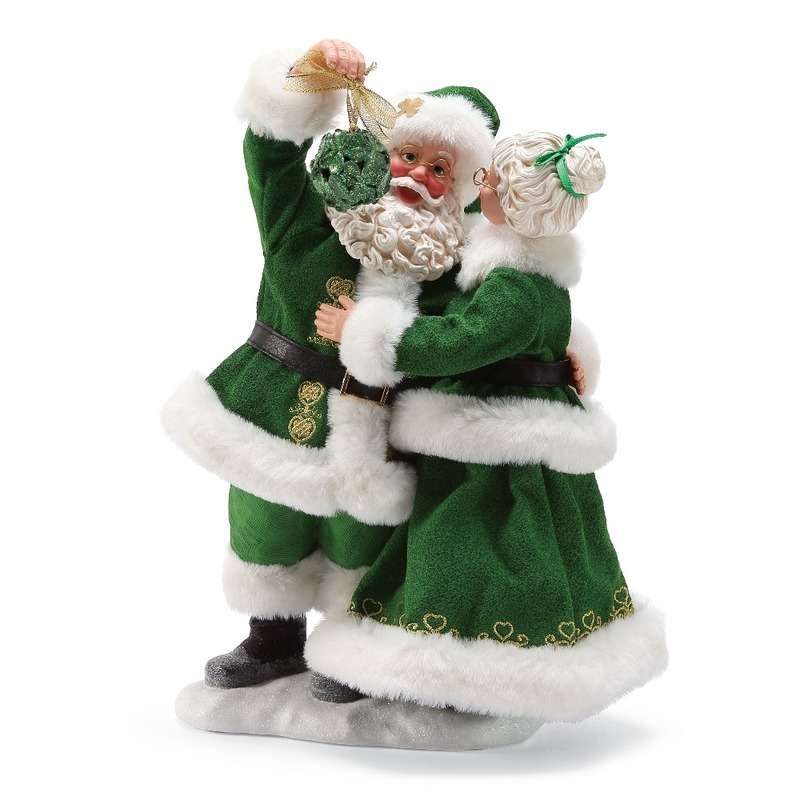 They’ll bring a very special touch to your holiday decor for a magical Christmas. 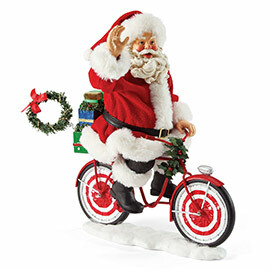 FREE GROUND SHIPPING* within the Continental US on Department 56 purchases over $69. 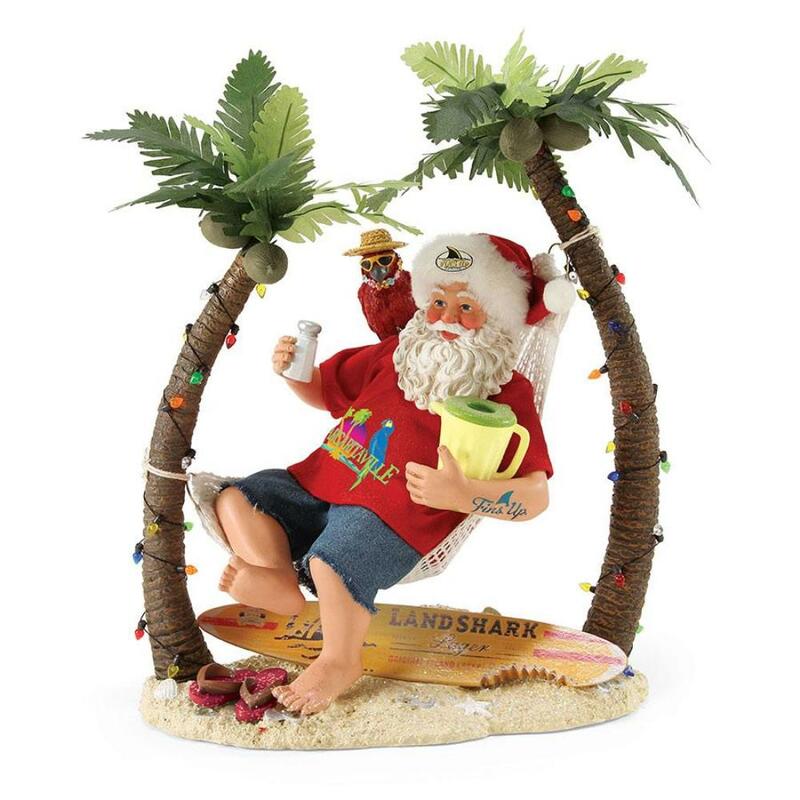 Enter coupon code "d56shipsfree" during checkout! 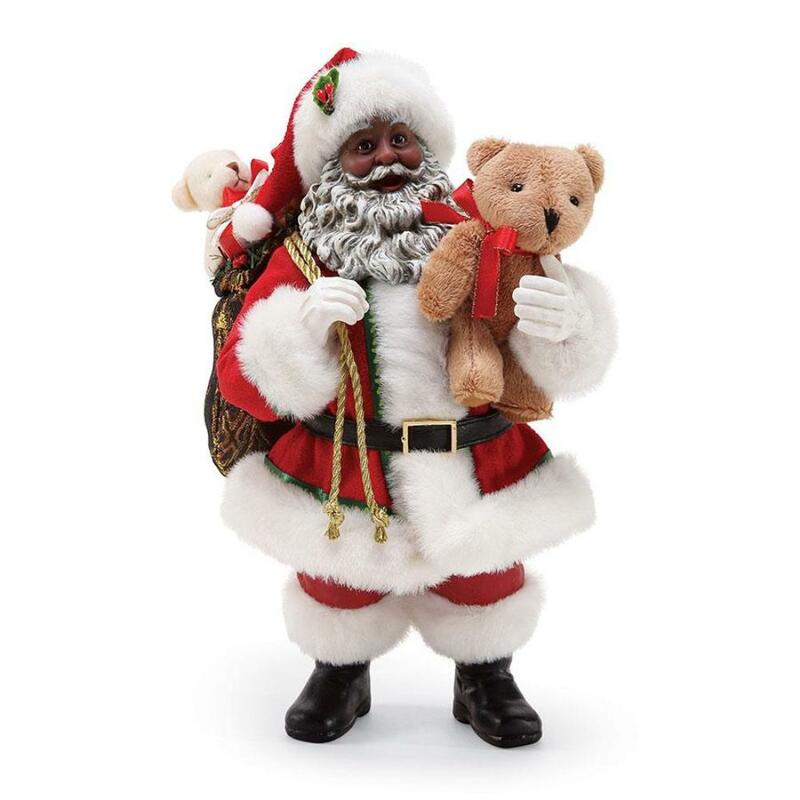 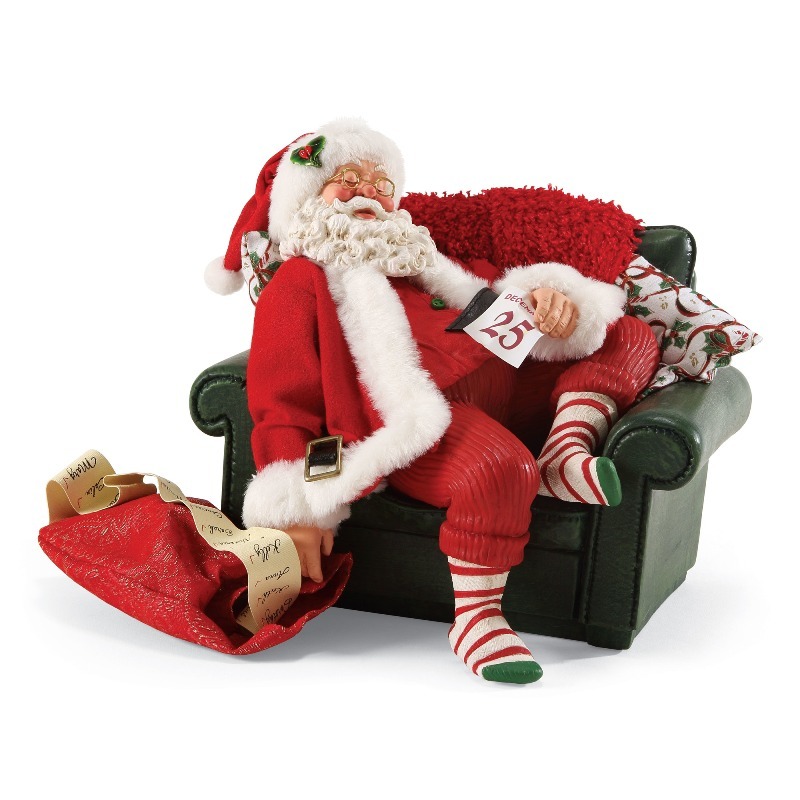 Most of the Possible Dreams Clothtique Santas are made from a proprietary stiffened fabric material, porcelain and added cloth and stuffing for a softer appearance that standard figurines. 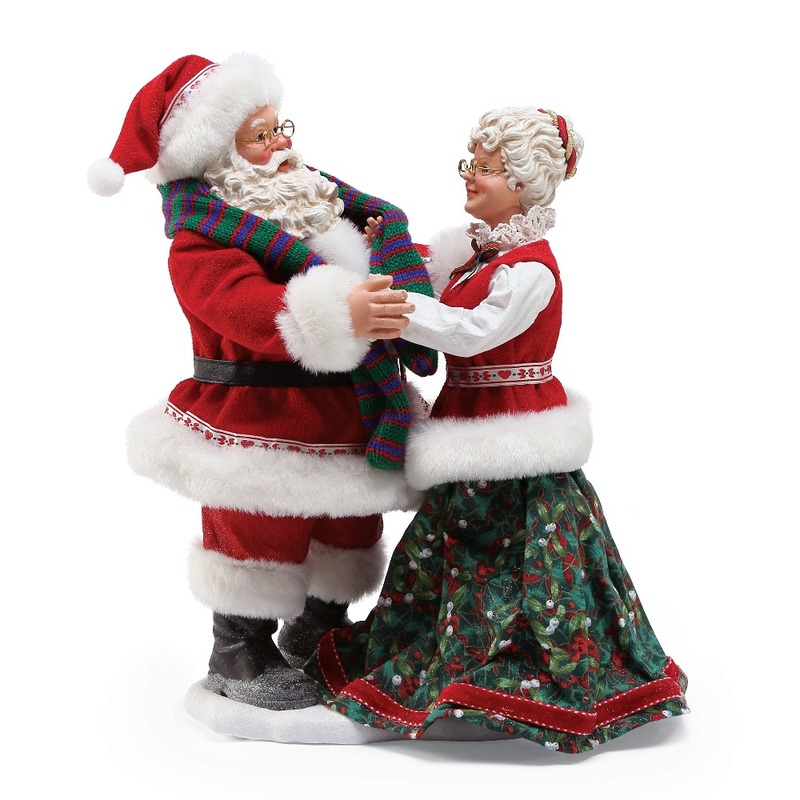 They feature intricate facial details, decorative accents, realistic accessories and hand-painted style. 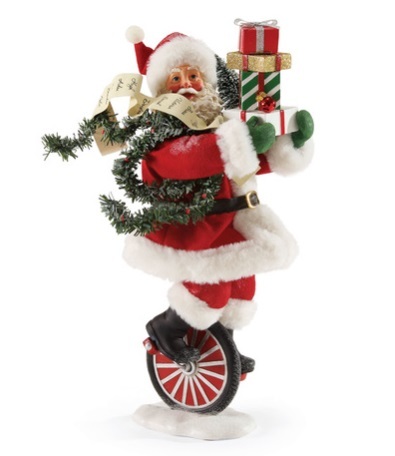 They are truly out of the ordinary! 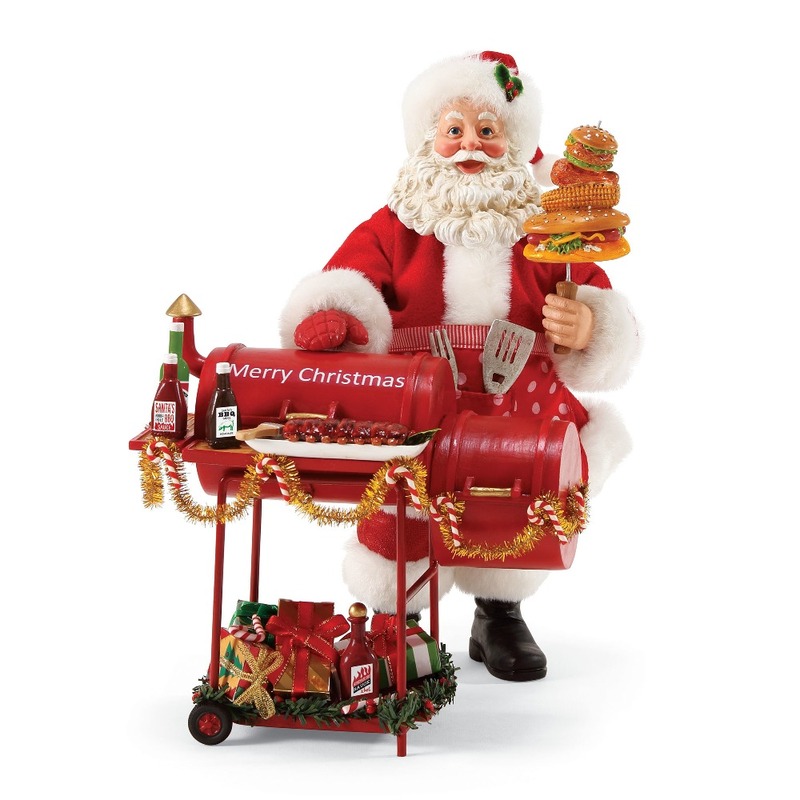 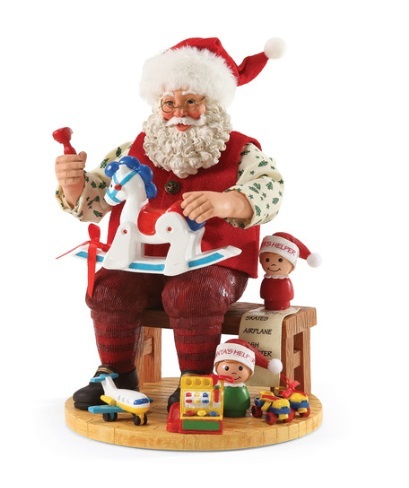 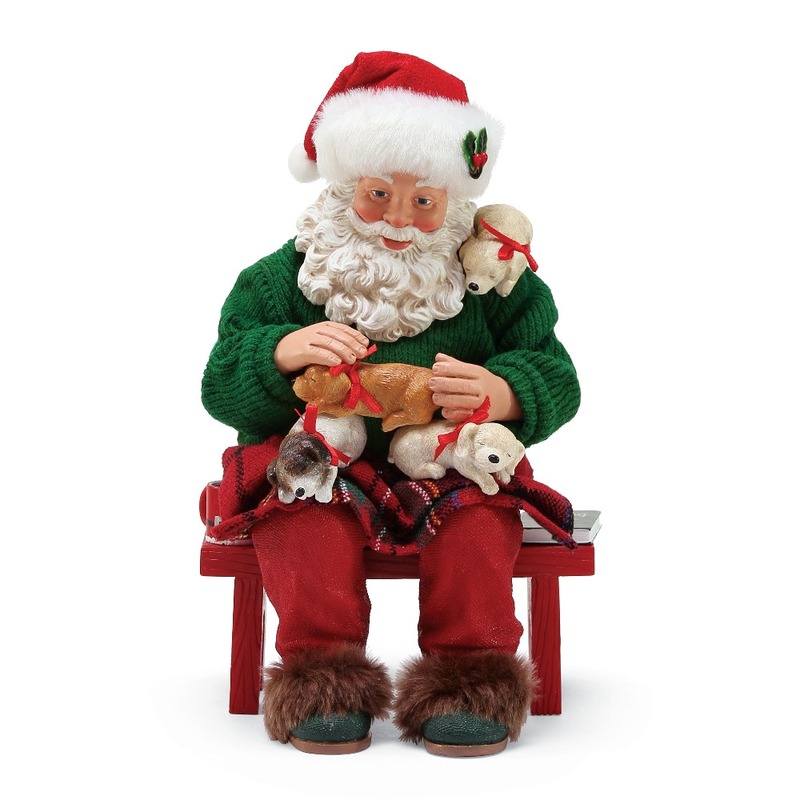 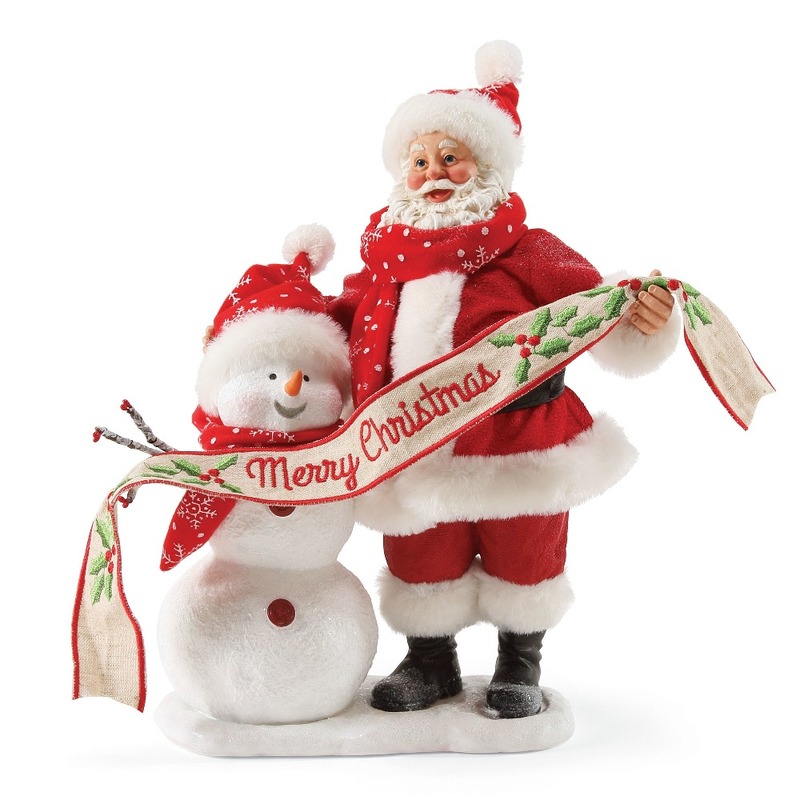 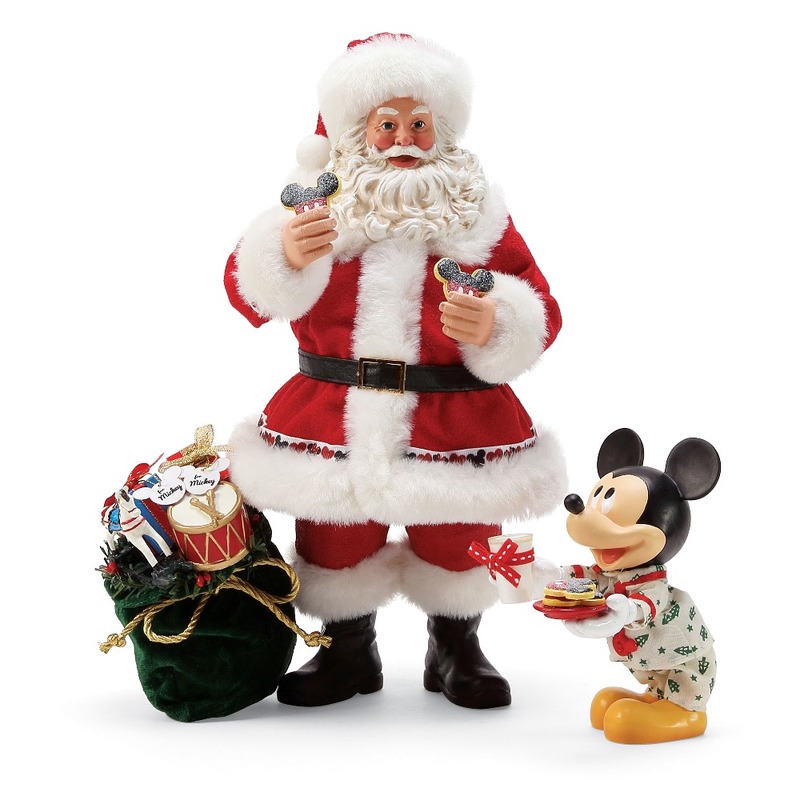 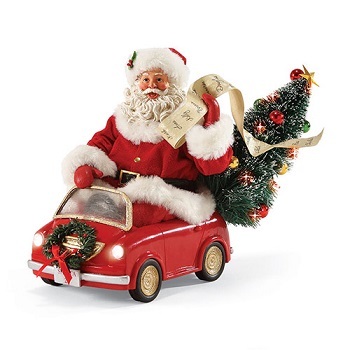 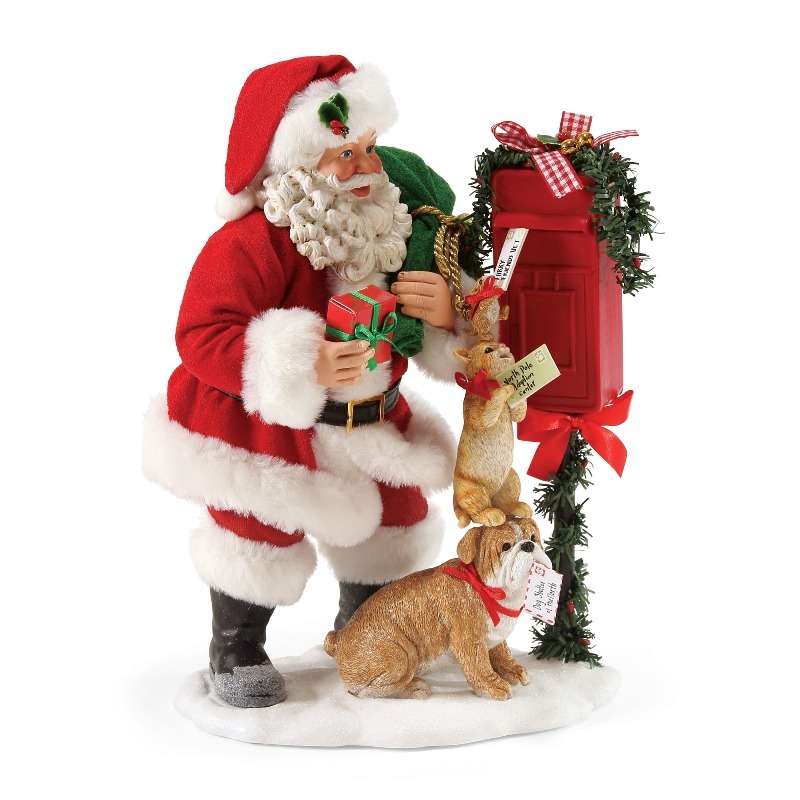 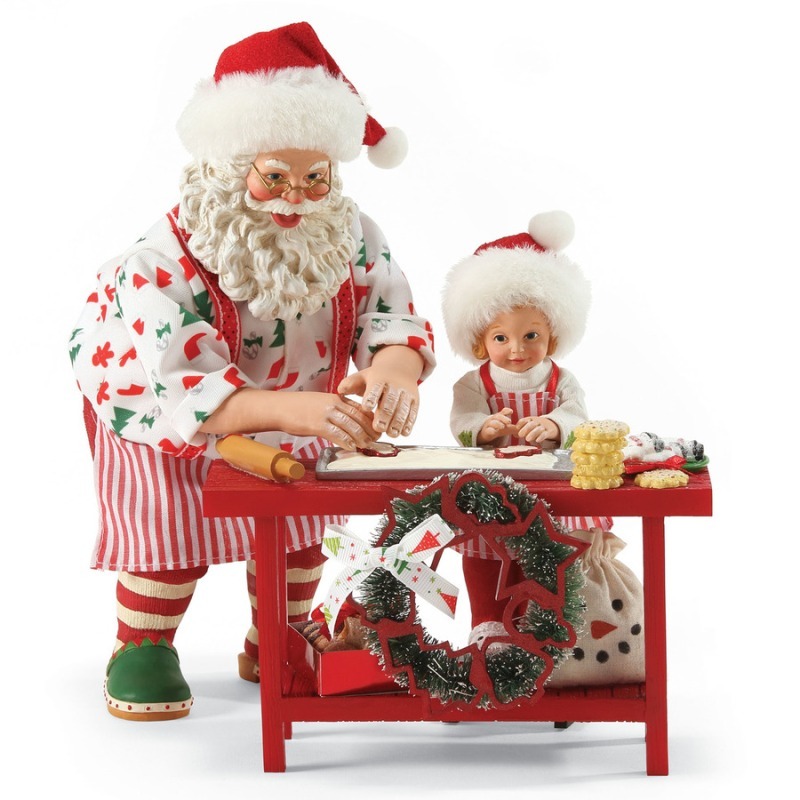 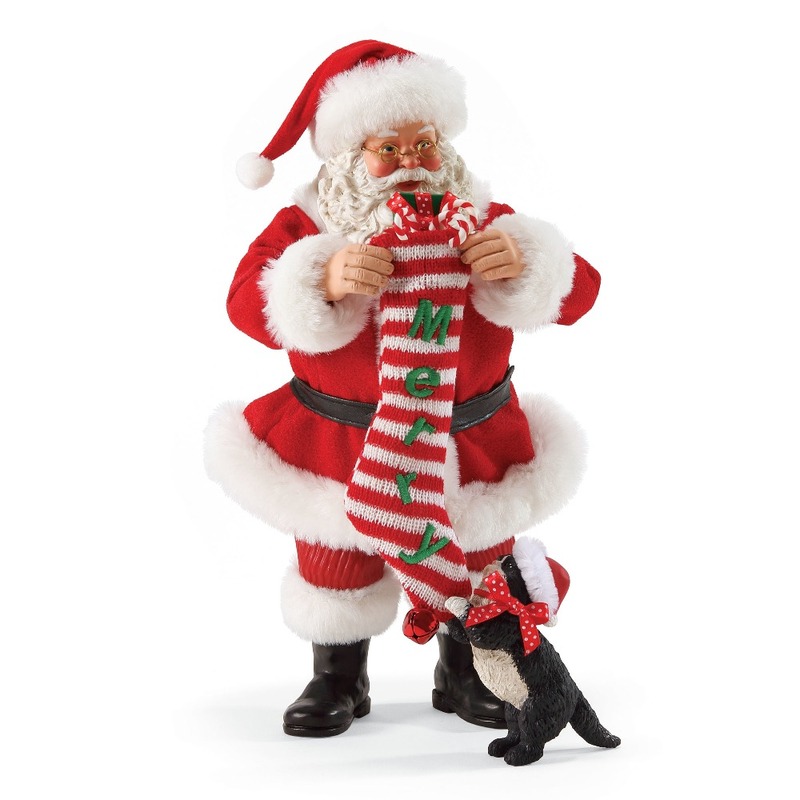 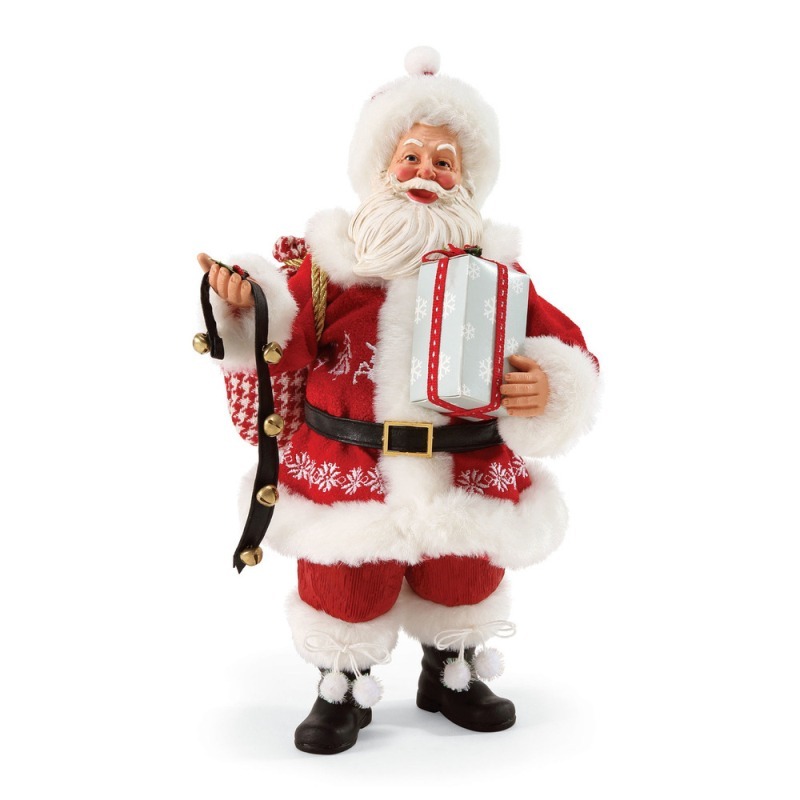 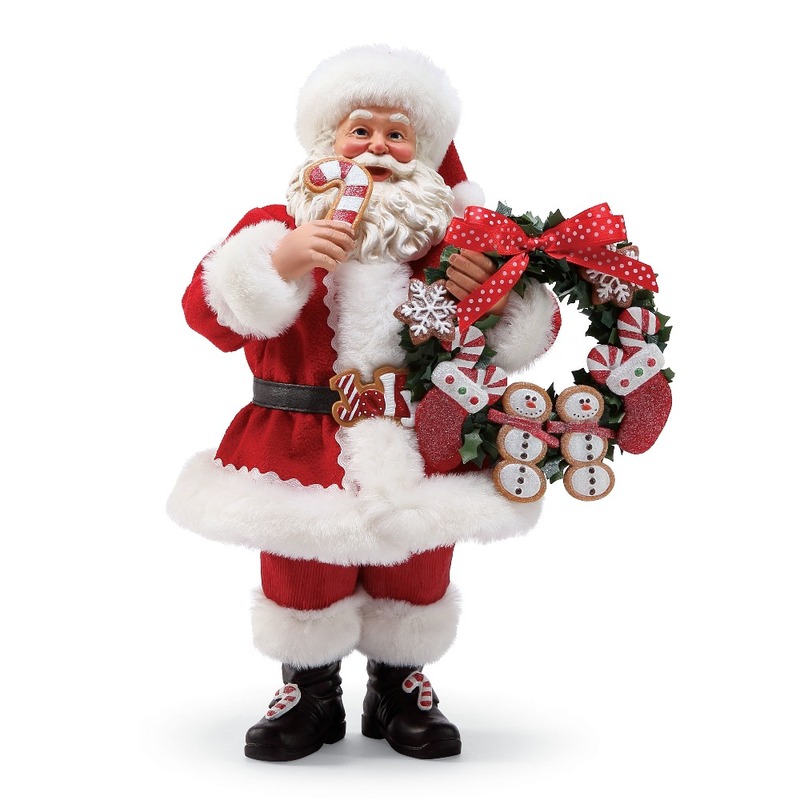 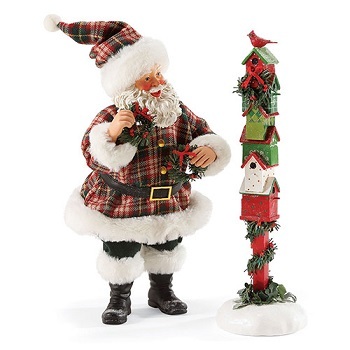 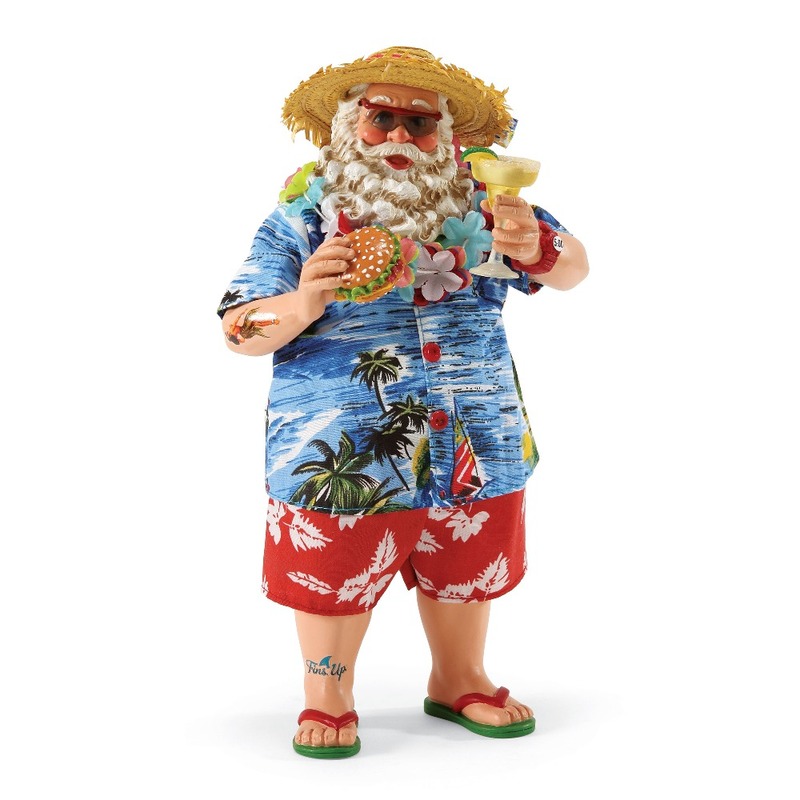 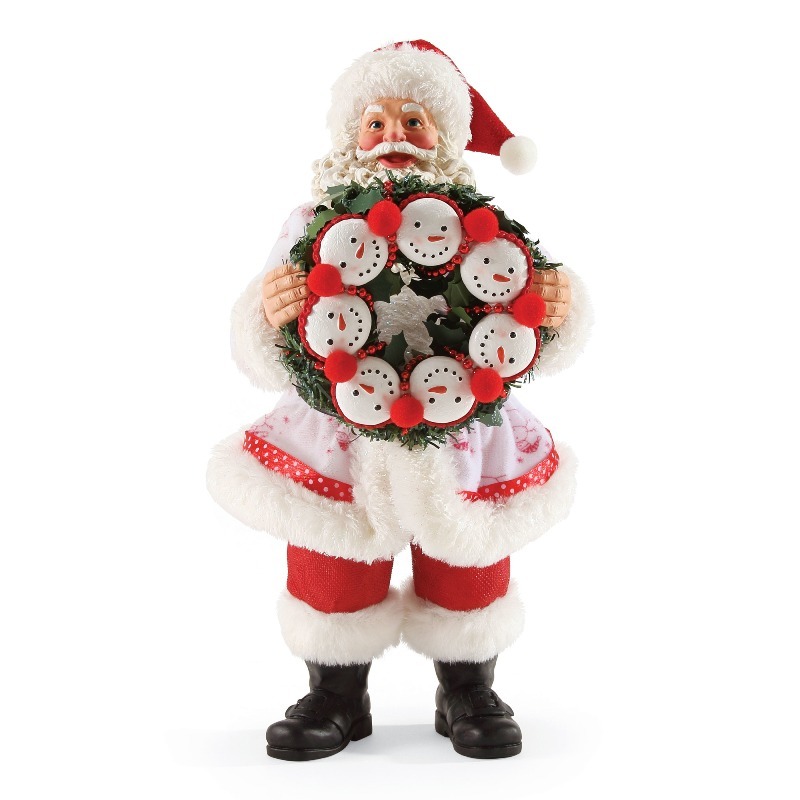 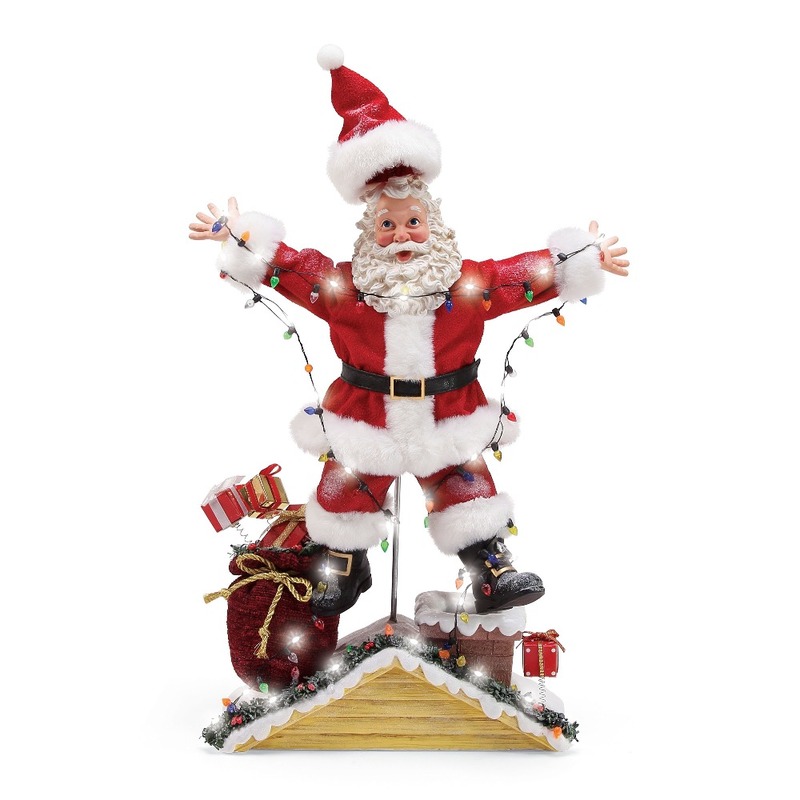 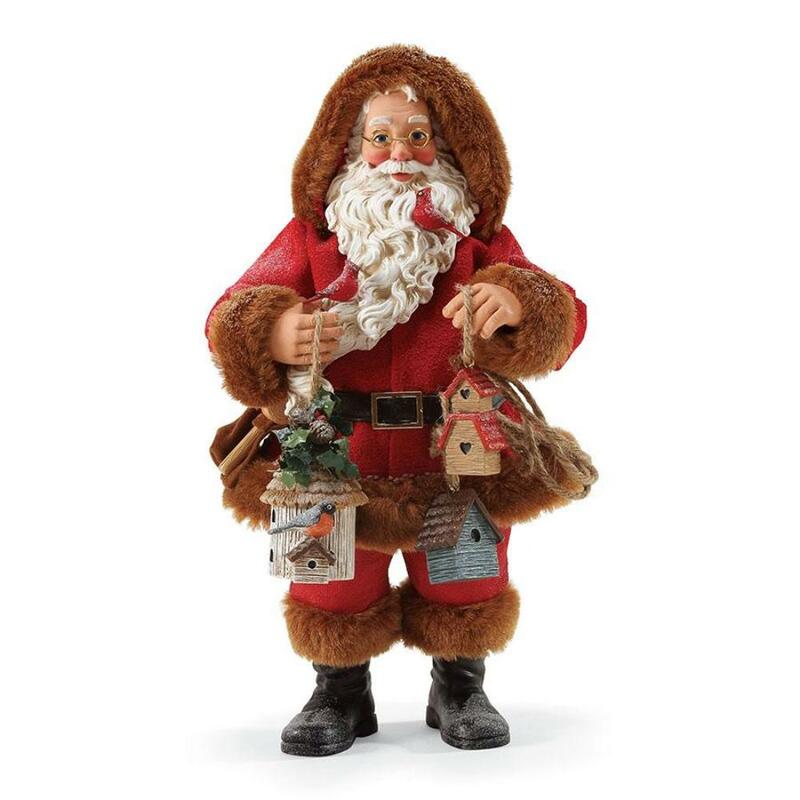 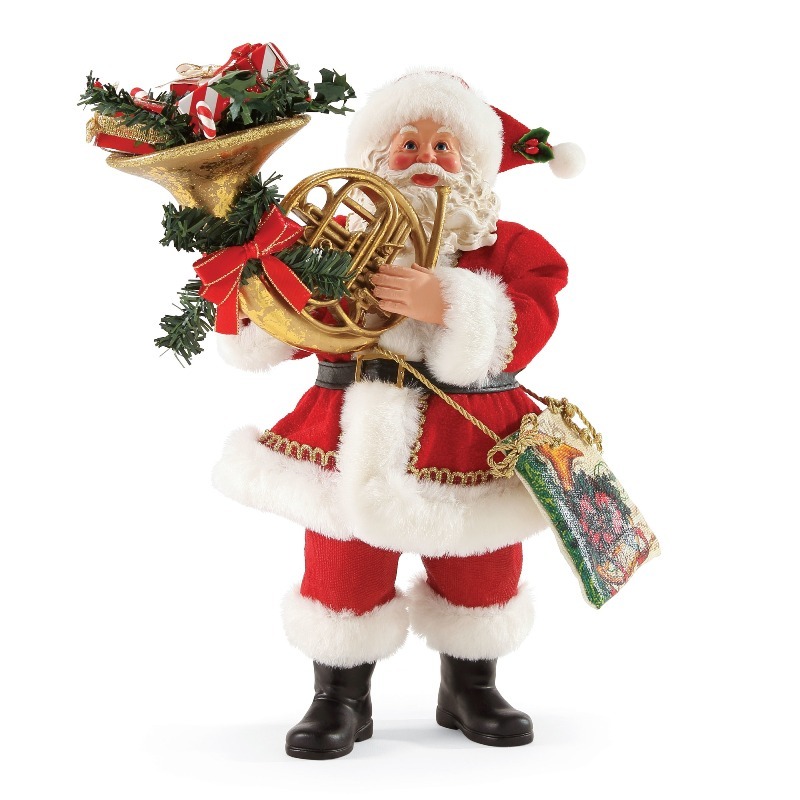 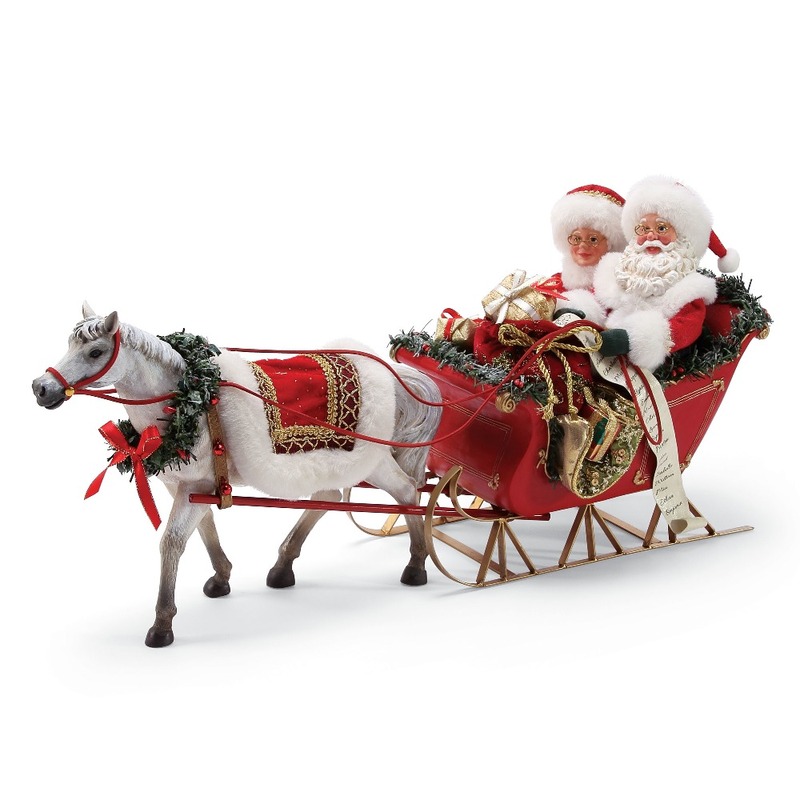 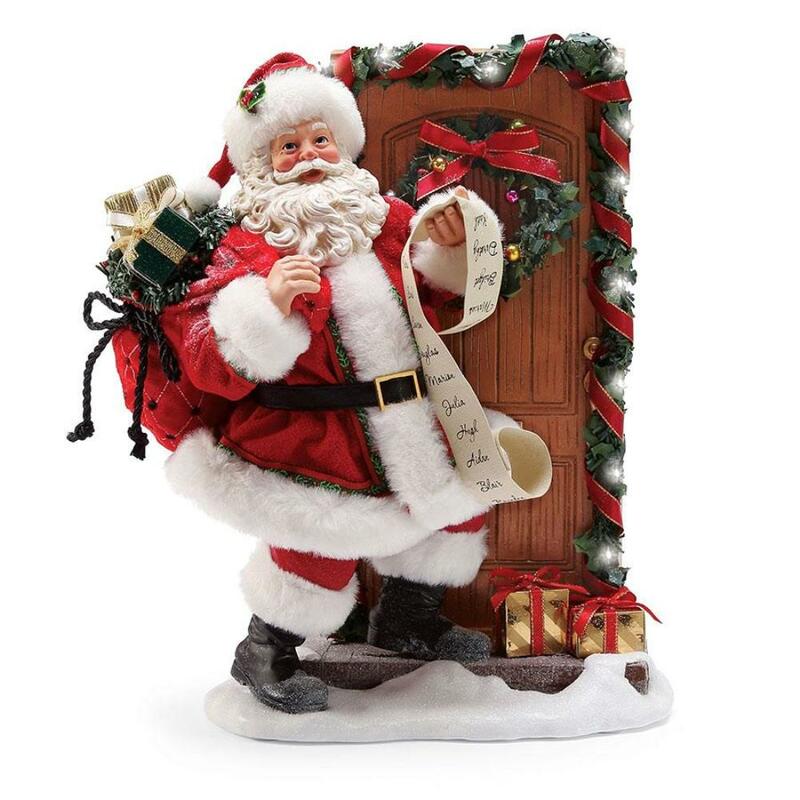 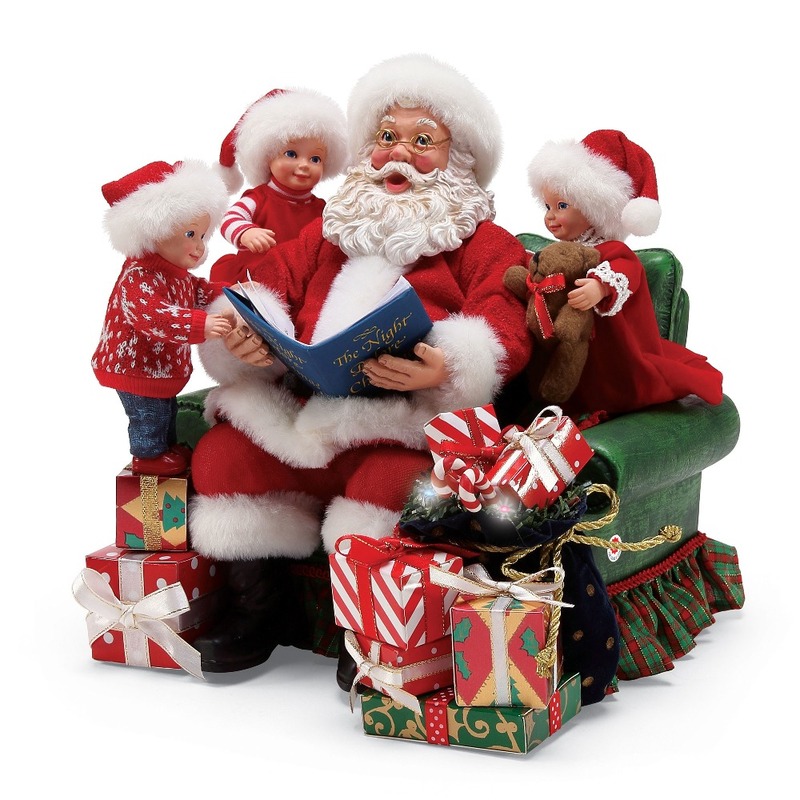 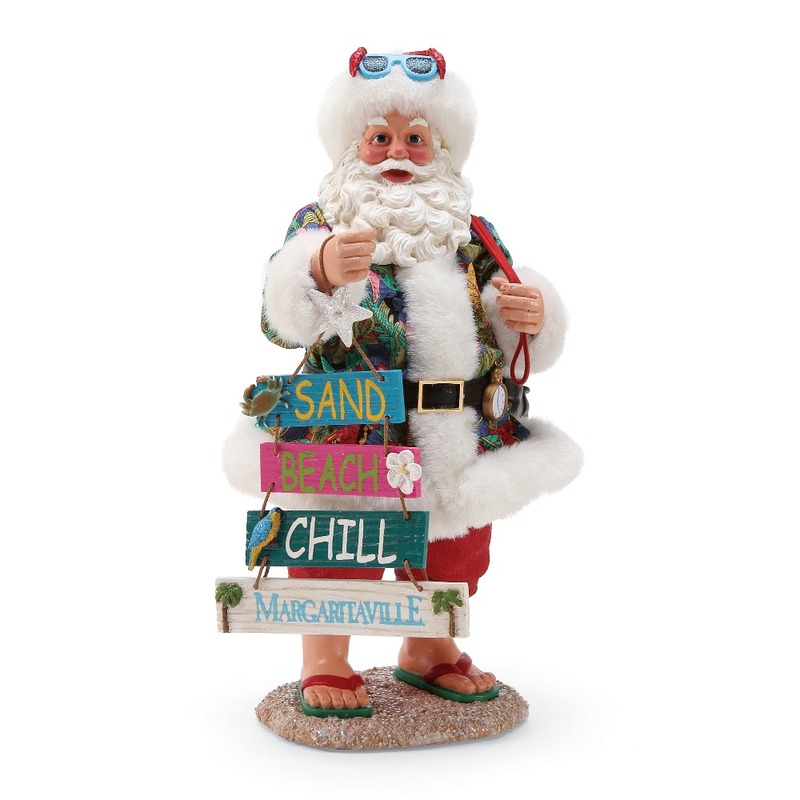 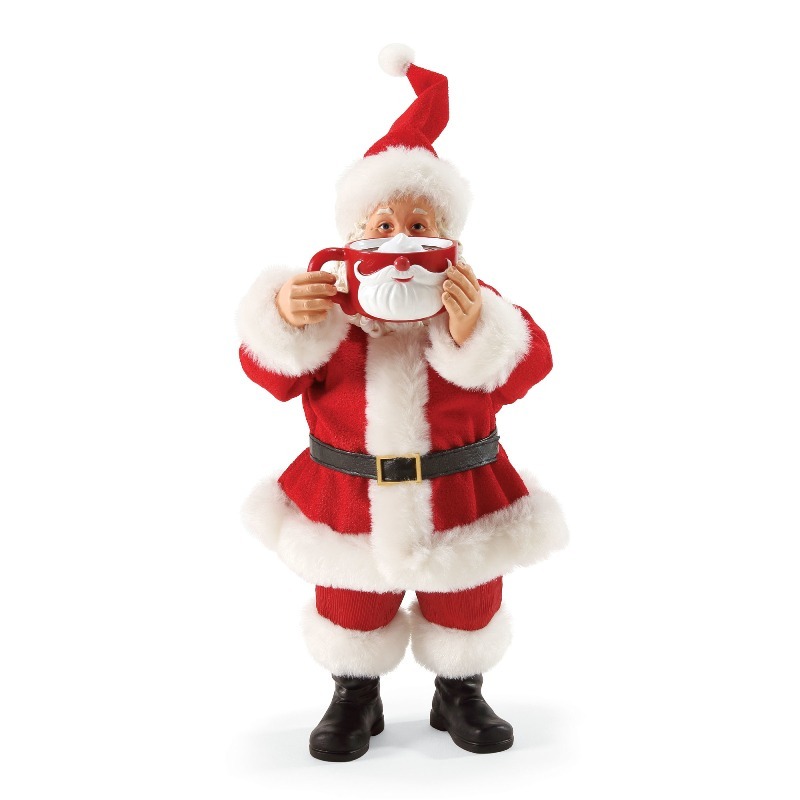 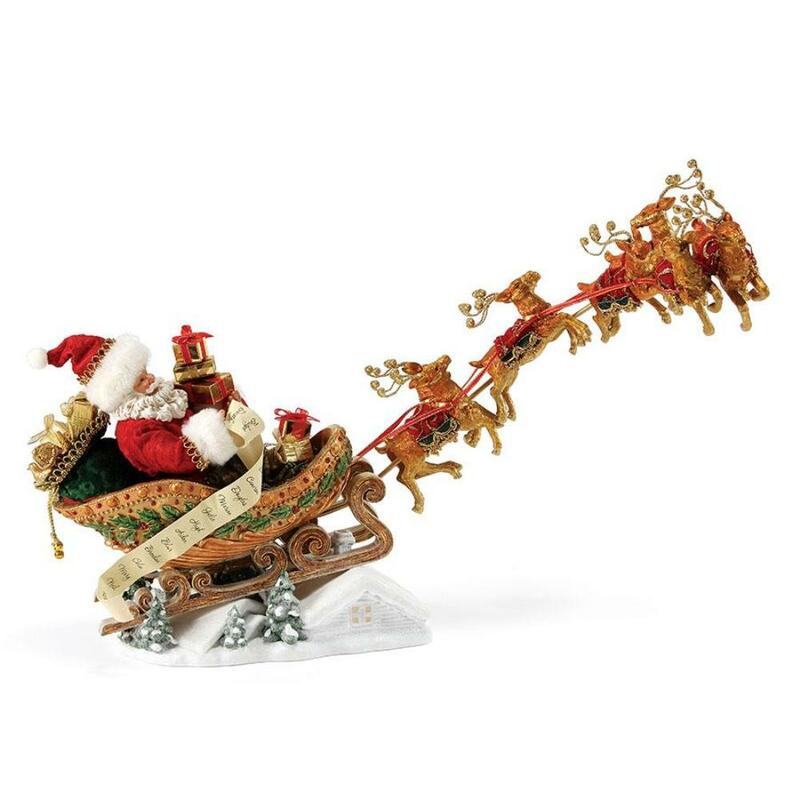 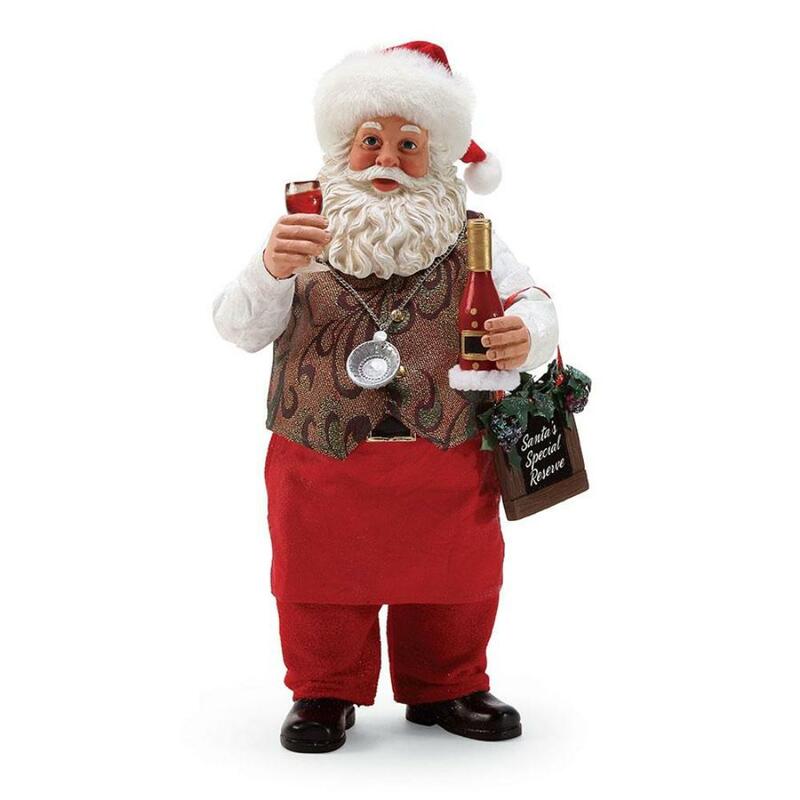 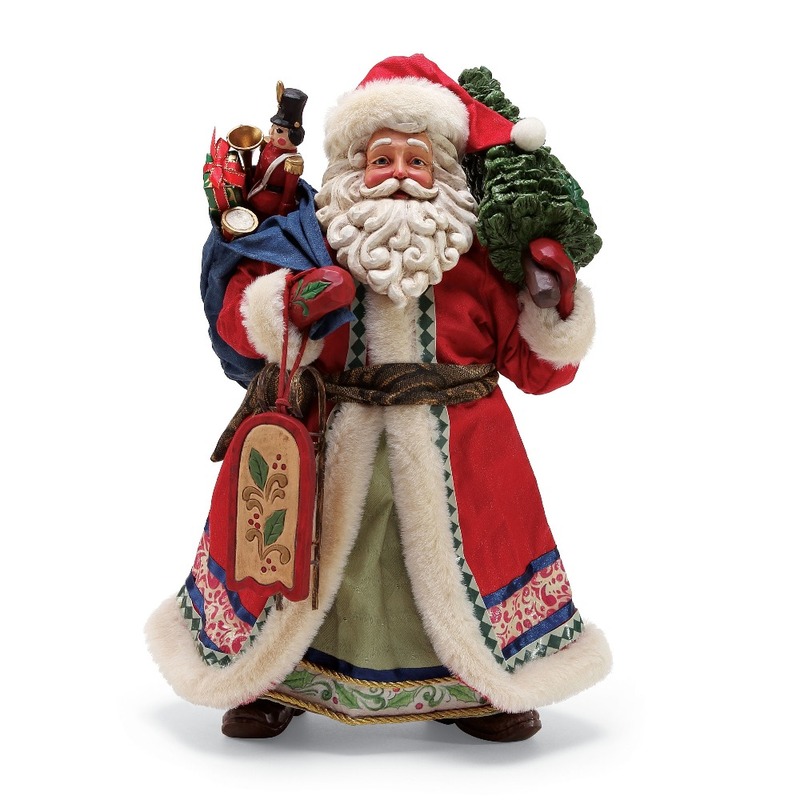 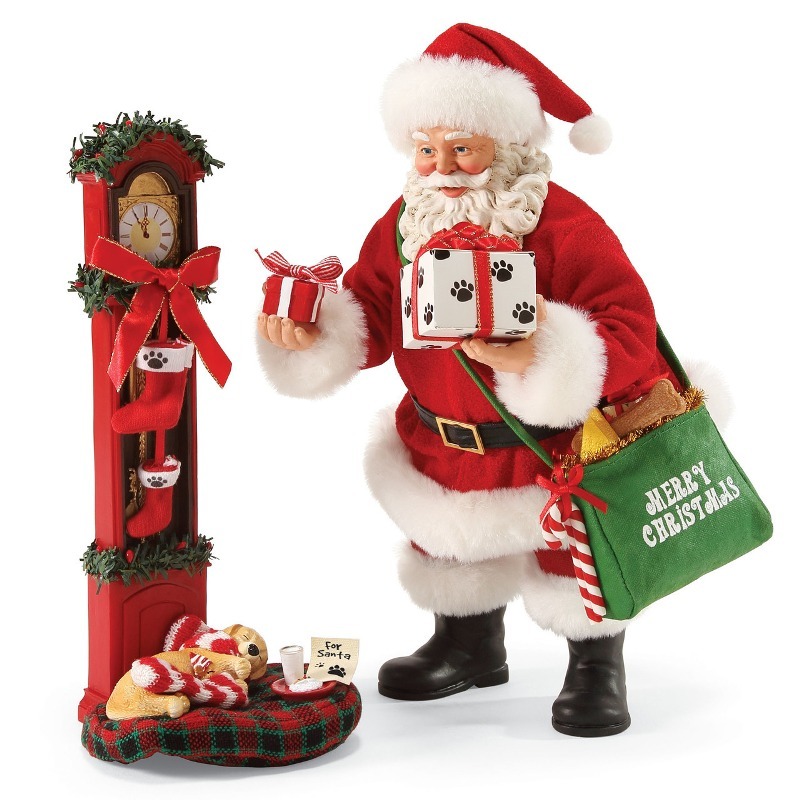 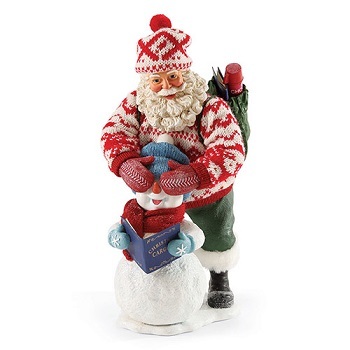 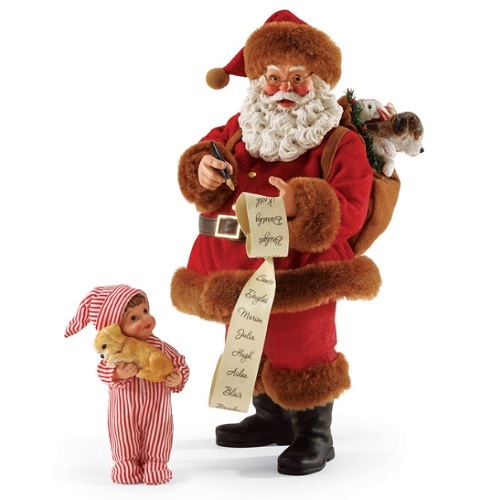 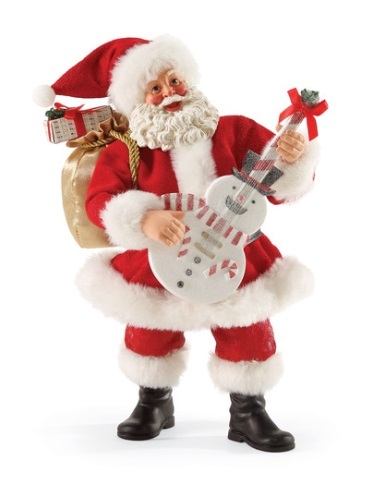 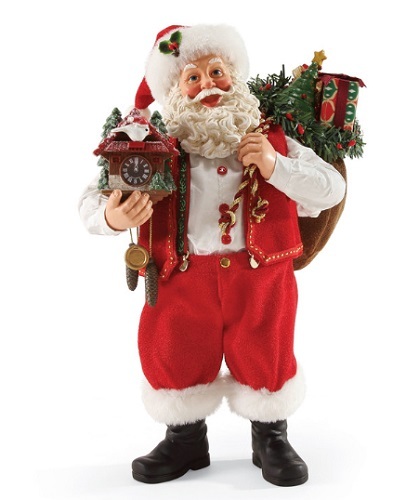 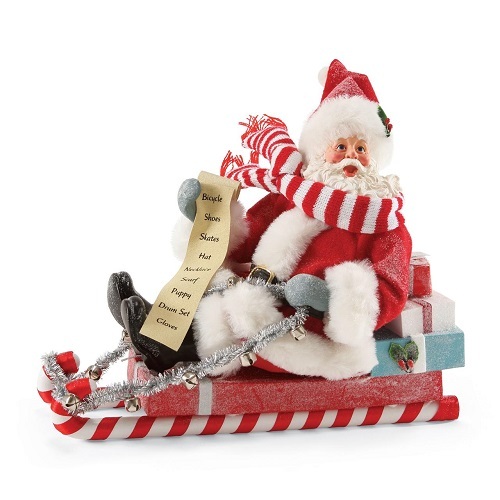 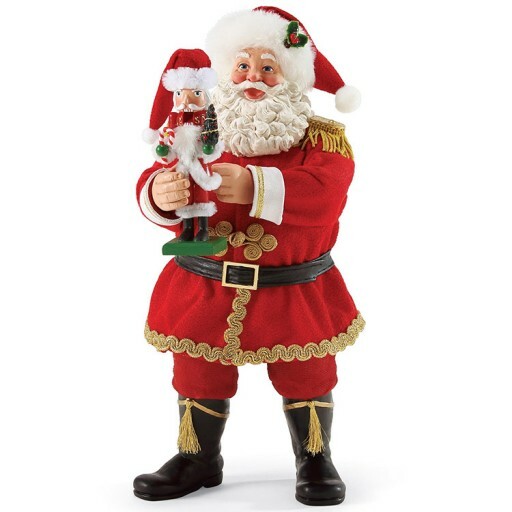 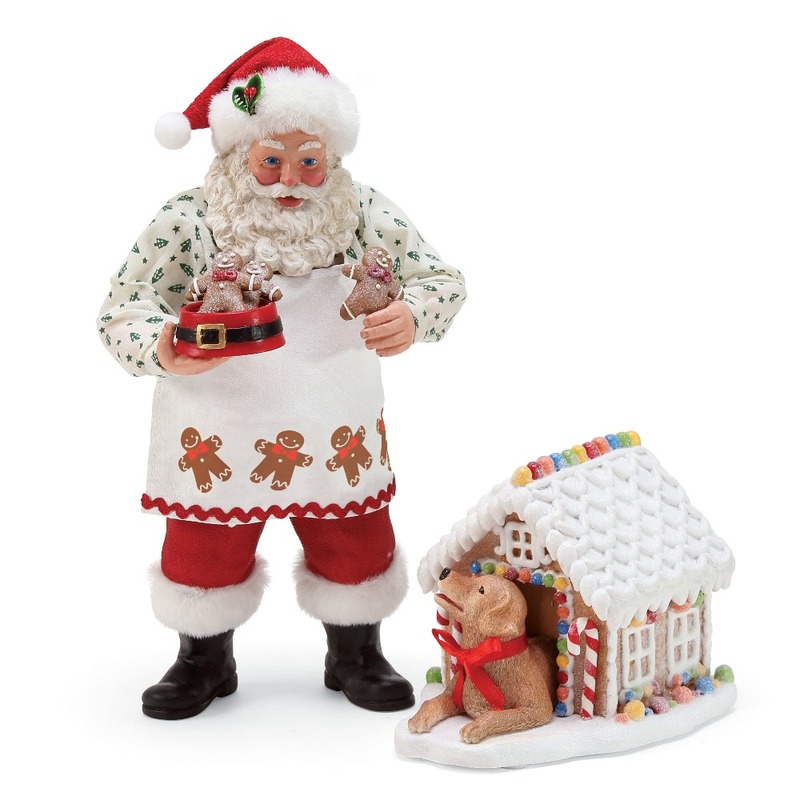 These Santa figurines are offered in many imaginative designs that celebrate Christmas past, present and future. 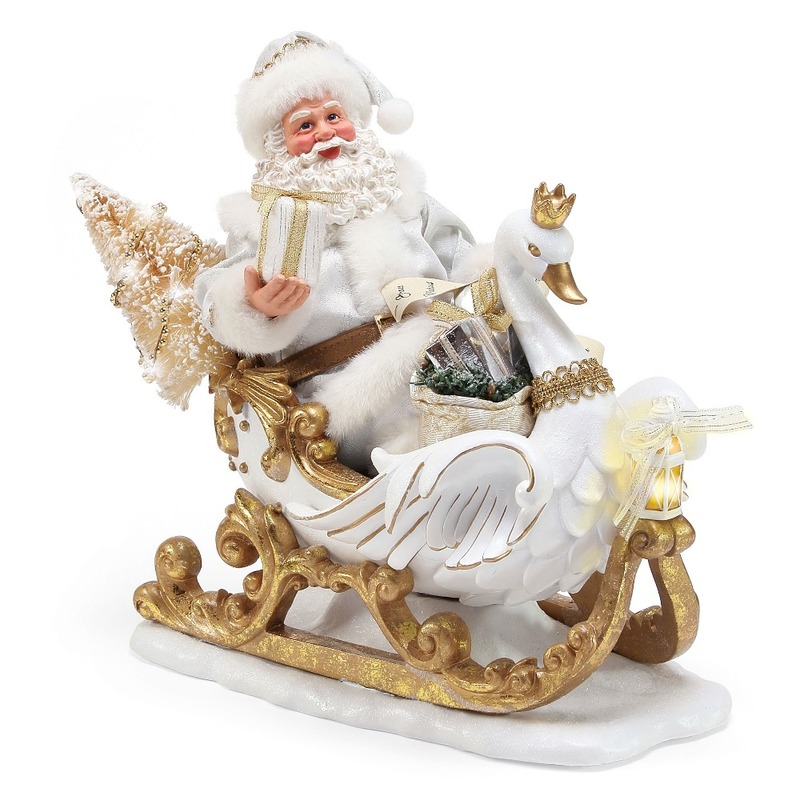 We have many Possible Dreams Santas available, including limited editions. 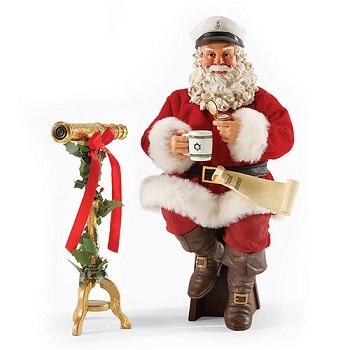 You’ll find Jolly St. Nick in many different poses, both classic and whimsical. 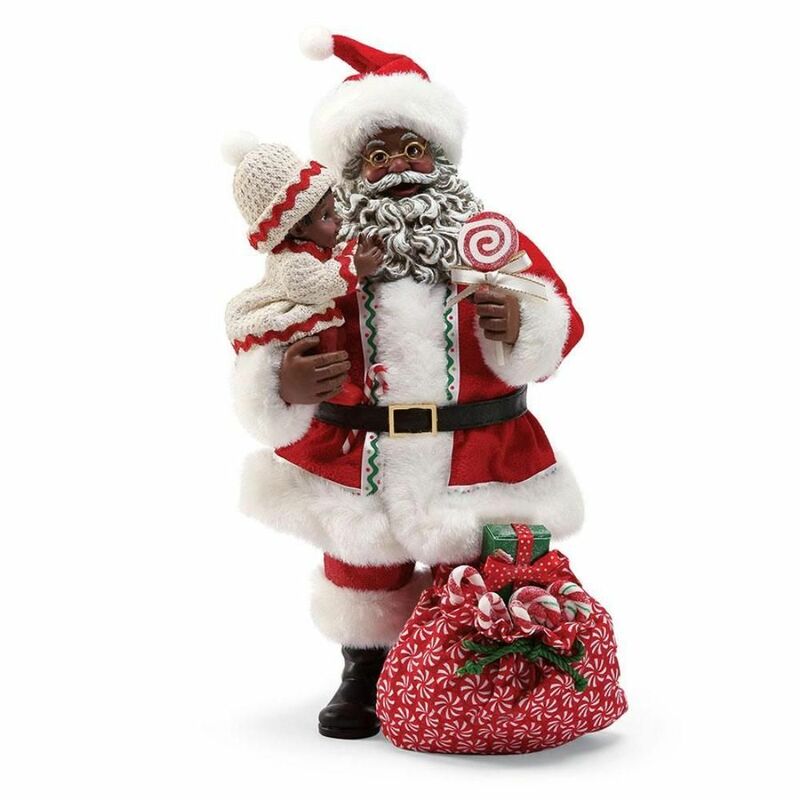 Due to their limited nature, available models may vary. 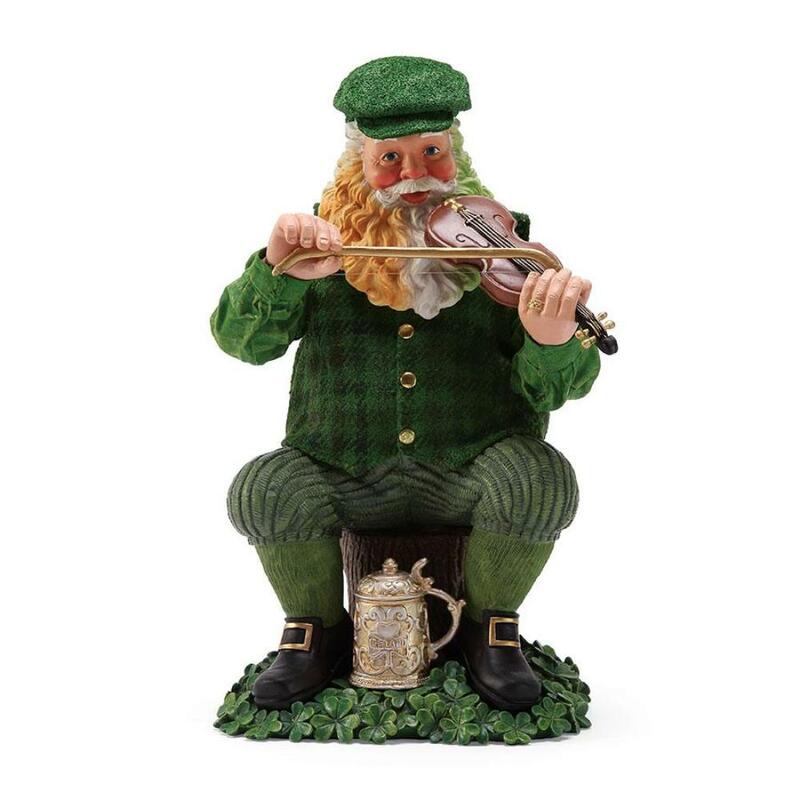 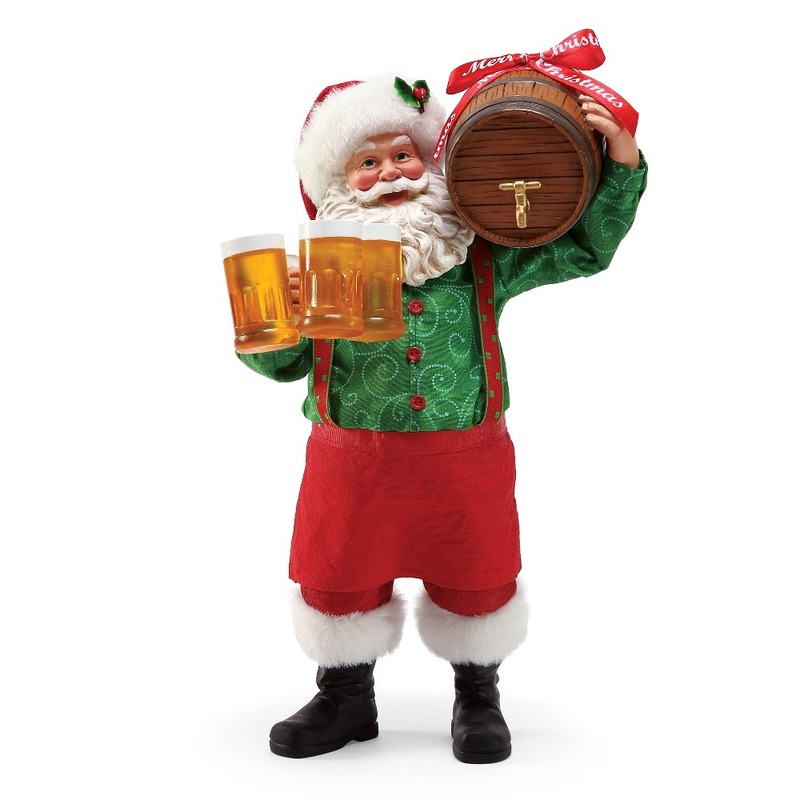 You may find figures from collections such as Santa and His Pets, Celtic, Christmas Traditions, Licensed, Limited Edition, Christmas Vacation, Seasons Tweetings and Bon Appetite, as well as Santa figures with music, nautical, toy, children and automobile themes. 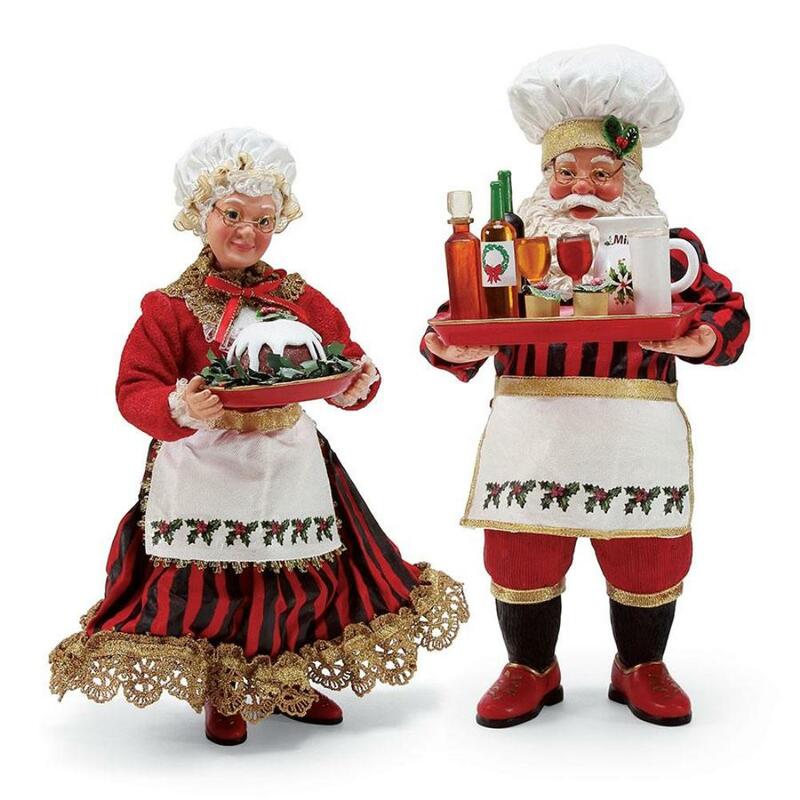 These joyful Possible Dreams Clothtique figurines make artistic table toppers or imaginative centerpieces — and are always welcomed additions to your home and great conversation pieces! 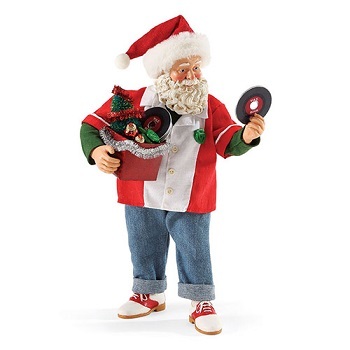 Needless to say, they make a wonderful holiday gift for your favorite collector or anyone with discerning taste. 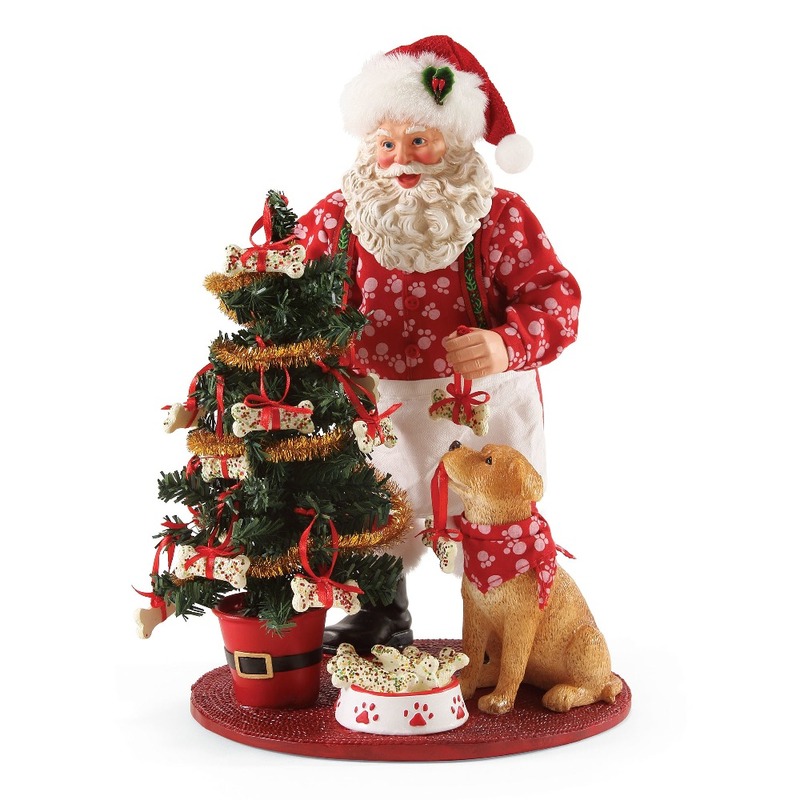 Christmas Tree Hill for Unique Home Decor and Gifts! 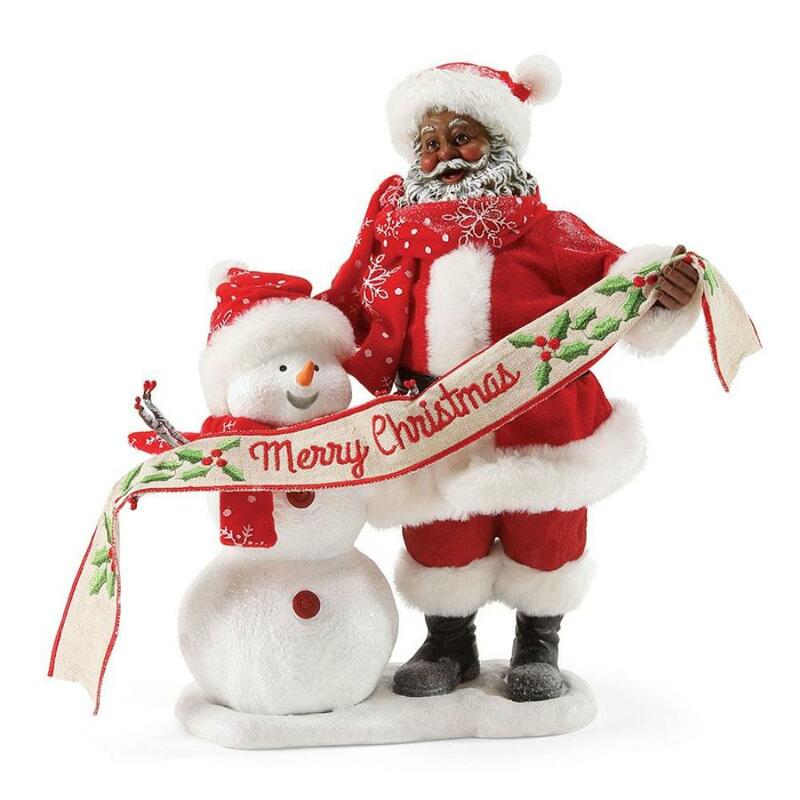 Family owned since 1971, Christmas Tree Hill is your premiere source for the highest quality Santa figures and distinctive home decor, jewelry, gifts, collectibles and other products at great values. 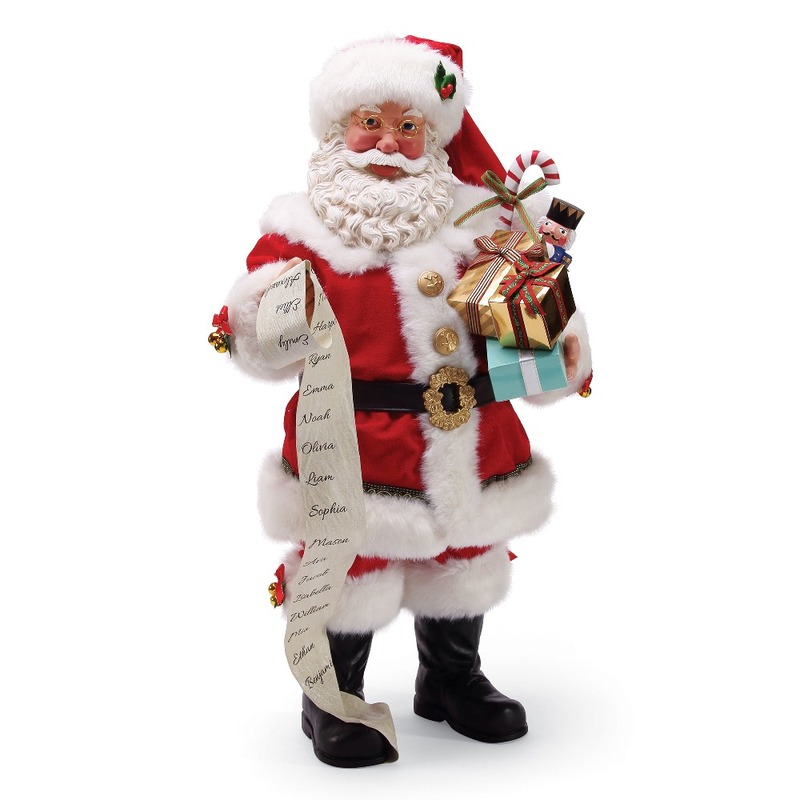 We care about our customers and offer personalized service.